Renault Koleos makes its presence as an all-terrain compact SUV which is available for Indian buyers since its inception in the year 2011. Recently, the French auto-maker revealed its face-lift version with some cosmetic and functional upgrades. It is considered as an exceptional player in its segment, all thanks to its outstanding ride quality and better dynamics. l The Renault designers put their best efforts in providing this compact SUV a distinctive and functional craftsmanship. l The well-crafted chrome finished radiator grille and body colored bumpers are the part of its exclusive exterior package. l To exhibit its sporty appeal, this car comes fitted with redesigned pair of headlamps and oval-shaped fog lights. l Anchored with 17-inch alloy rims paired with couple of bold tires with size as 225/60 R17, the new Renault Koleos is capable to smoothly run on any kind of terrain. l The precise exterior dimensions of this car stand out to be 4520 mm x 2120 mm x 1710 mm (L X W X H) and the wheelbase is about 2690 mm. What to opt for: The compact SUV By Renault is equipped with various parts to its exterior, thus getting a complete insurance for this car including all the additional accessories would be a wise decision. l Renault Koleos establishes the brand identity by featuring number of advanced designing and comfort features. l The dual-zone air-conditioning system aligns with the appealing harmony of its cabin. l Its state-of-the-art music system is integrated with radio tuner, CD player compatible with MP3 files make you experience the drive with your favourite tracks. l Fitted headlight sensor, intuitive supervision cluster and comfortable seating completes the internal styling of new Koleos. l The immense 450 litres of cargo space comprises the capacity of accommodating your extra luggage. What to opt for: The new Renault Koleos is bestowed with numerous first-rate features and technologies, hence insuring all the features along with consumable add-ons will lead you to experience a relaxing drive. 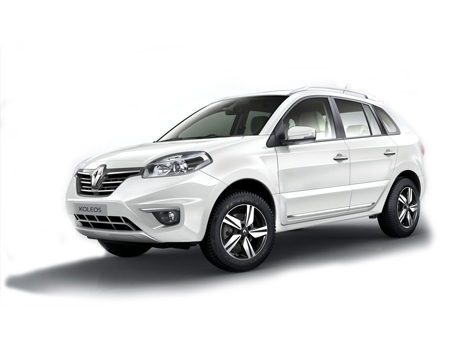 Better styling and high performance of its power-trains makes new Koleos a fantastic highway cruiser. Considering its overall price range including maintenance and features cost, out expertise gives the advice of getting comprehensive and liable coverage. In case of collision, the related coverage would be a better option.